A bearing guided two flute cutter to produce an attractive double beaded ovolo, with or without a top quirk. 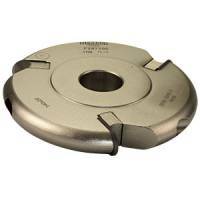 This type of cutter finds uses for decorative edge mouldings on plaques, bases, shields etc. as well as furniture.